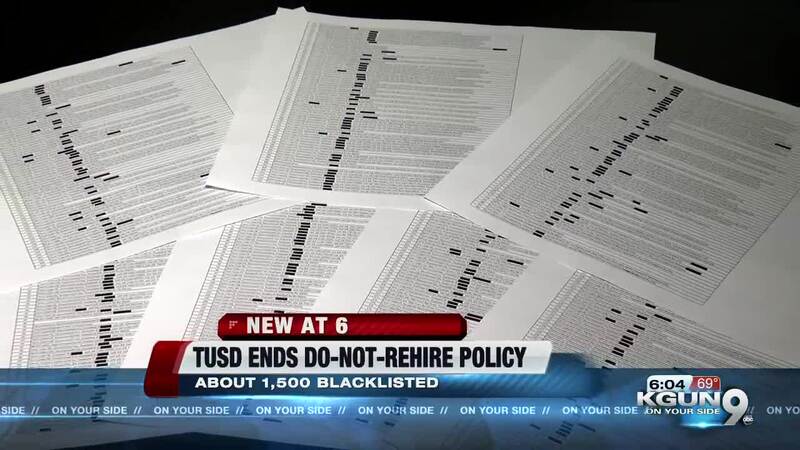 The TUSD board voted 3 to 2 last night to end it's "Do Not Rehire" policy -- after years of the district denying it even existed. TUCSON, Ariz. — The board voted 3 to 2 last night to end it's "Do Not Rehire" policy -- after years of the district denying it even existed. Superintendent Gabriel Trujillo reviewed the list a year ago -- and found the majority of the people on the list -- about 9-hundred -- were wrongly blacklisted. That included teachers and principals. And most of them had no idea they were on the list. Mark Stegeman told us back then -- the board had to vote on a new policy to permanently get rid of the blacklist.